It can be so hard to remember things! Facts, names, where you placed your keys. We could all use some help. But could EEG come to the rescue? Maybe! It turns out that memory, like muscles in our body, can be strengthened and enhanced. But instead of practicing with flashcards, there might be an interesting way to hack our memory... while we sleep. This experiment was prepared by Joud Mar'i, an undergrad from Mount Holyoke College, during our Summer Fellowship Program. You will learn how to identify different phases of sleep by recording from a subject's brain while observing EEG signals, and you will learn about memory consolidation, or the transfer of memories from short to long-term storage. Our short-term newly acquired memories get stabilized into long-term ones through the process of memory consolidation. As our memories are not static, constant memory storage update is needed. This depends on the "memory reactivation" of previously learned things... quizzing yourself over and over before a big exam often helps you remember! The hippocampus is a seahorse shaped brain structure that helps with the storing of information from short-term memories to long-term memories. We call this memory consolidation. 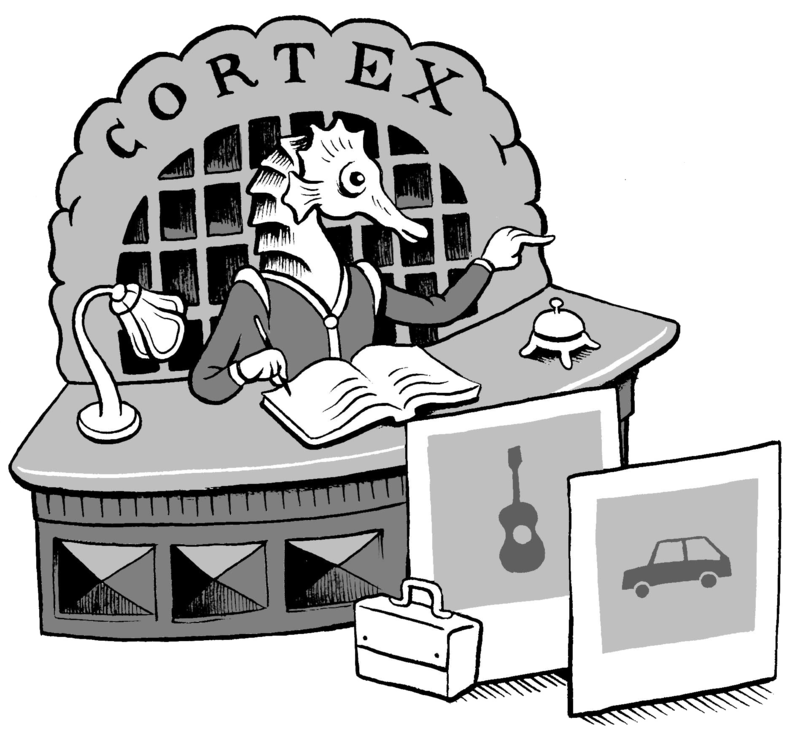 Much like a hotel assigning guests to their rooms, studies have shown that "episodic" memories... meaning memories of times, places, emotions: the who, what, when, where, why memories are stored into cortex via the hippocampus. These memories can be retreived again if enough associated cues are activated for "recall". Sleep has an interesting architecture, and is important for memroy consolidation... so be sure to get some sleep before your finals! Our typical sleep cycle can be 8 to 9 hours long, and is divided mainly into two stages: NREM/early night sleep, and REM/late night sleep. Our brain is still active during all stages of sleep and engages in cognitive activity, so we never really lose consciousness completely! When it comes to memory consolidation, each sleep stage is responsible for a certain type of memory. Sleep-dependent preferential consolidation is crucial for stabilizing our episodic memories, and this seems to happen specifically during Slow Wave Sleep or stage N3 of NREM sleep. It helps strengthen the paired association tasks like verbal list learning, or spatial recall. Other types of memory like procedural and emotional can be consolidated in both REM and NREM sleep. It has been recently shown that such consolidation can be artificially enhanced using the method of Targeted Memory Reactivation (TMR). 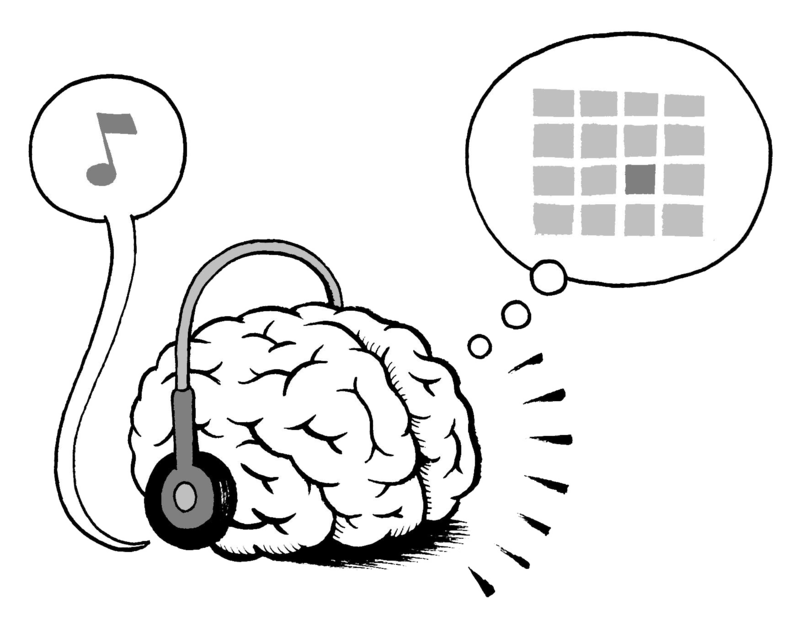 This technique can affect the selectivity of memory storage using sound cues associated with learning. It reactivates relevant neural representations utilized in learning, that are reflected by certain hippocampal firing patterns. This project aims to further explore and create a DIY version of the research conducted by James W.Antony, Ken Norman, and Ken Paller from Princeton and Northwestern Universities on this matter. Is it that we remember better or forget less? All you might need to improve your memory is a pair of headphones and a comfortable sofa. Download the software app for Xcode, and install on your iPad: Available Here. We are hoping to release this as an app one day.... Instructions for installing and running the app can be found in This Document. Red: Place one of the red alligator clips at the headband electrode furthest from the patch behind the ear. Red: Place the other red alligator clip at the electrode patch behind the ear. Black: Place the black alligator clip at the headband electrode in-between the two red clips. Connect the electrode cable to the Heart and Brain SpikerBox, then connect the Heart and Brain SpikerBox to your laptop via the USB cable. Load up SpikeRecorder (on laptops click connect to the USB icon) then turn on the FFT Button. Start recording the subject's EEG signal. As the subject starts their 90 minute nap/sleep, you need to detect when they go into deep sleep/slow wave sleep. You will know once you start spotting Delta waves in the EEG signal. Delta waves are 0.5 - 4 Hz, and have high amplitudes around 75 microvolt. They are big, long, tall, and stretched out/slow which is where this sleep stage gets its name. When the subject wakes up, end the recording and save the EEG session. It's good to ask the person if they heard, saw or felt anything while asleep. If they answer yes... then they probably weren't in SWS. You can still run the experiment, but make note of this. After the subject wakes up, they will perform the post-sleep test on the app (1round), exactly the same as the pre-sleep no feedback test. All data for the post sleep stage will be taken from here as well. Once refreshed, have them take the test on the App again. Did their score improve? You can export the data from the app to run in your favorite analysis software package of choice. What would happen if we did multiple cycles of cueing during slow wave sleep? Does the intervals between them matter? What would happen if we cued the sounds during other stages of sleep? What would happen if we changed the cueing percentage to 0%, 25%, 75%, or 100%? How can we use TMR for real life applications? Does running the experiment during the night yield better results? Will having subjects perform this study before sleeping normally at night give different results than napping in the middle of the day? How much does surrounding environmental factors affect the performance of the subject like: light, temperature, space, outside noise, etc. Antony, J. W., E. W. Gobel, JK O'Hare, P. J. Reber, and K. A. Paller. 2012. Cued memory reactivation during sleep influences skill learning. Vol. 15. Oudiette, D., J. W. Antony, J. D. Creery, and K. A. Paller. 2013. The role of memory reactivation during wakefulness and sleep in determining which memories endure. Vol. 33. Oudiette, Delphine, James W. Antony, and Ken A. Paller. 2014. Spotlight: Fear not: Manipulating sleep might help you forget. Trends in Cognitive Sciences 18 : 3-4. Rudoy, John D., Joel L. Voss, Carmen E. Westerberg, and Ken A. Paller. 2009. Strengthening individual memories by reactivating them during sleep. Science(5956): 1079.